He was chosen to be part of a movie filmed byJerusalem U— Beneath the Helmet: From High School to the Home Front. 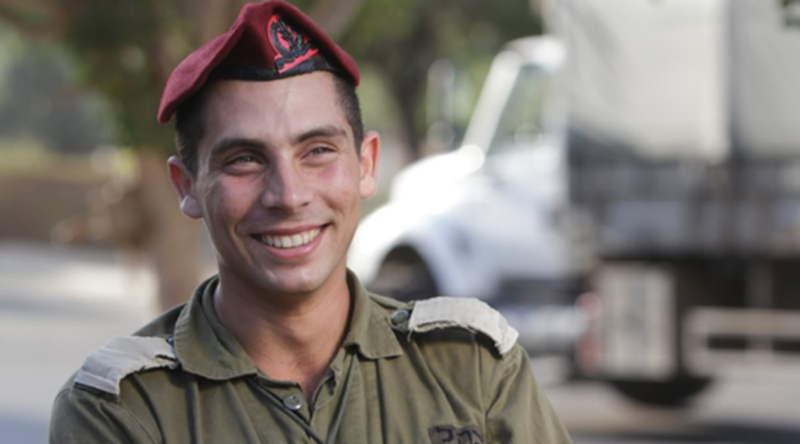 This story follows five Israeli high school graduates who are drafted into the army and shows how they learn and grow on their new journey. “I was in the right place at the right time when I was chosen for the movie. The producer needed someone who spoke English and I was one of two Israelis who raised their hand.” Two weeks later, they started filming and the rest is history. “I really didn’t notice they were even filming. I was so focused and concentrated on training my soldiers that it didn’t faze me.” He didn’t see the film until it’s 2014 New York City premiere. Beneath the Helmet became a memory of his service and travels. The production showed how important it is to maintain the bridge between the Jewish people and the diaspora in Israel. Eden’s mother has always been there to support him. When they moved to northern Israel, he couldn’t read or write. He had a lot of issues with concentrating in school but she pushed him to study more. “She was the biggest influence on me. Never giving up, she always fought for my best interest. In the end, it paid off that she always believed in me.” Now he is attending The Hebrew University of Jerusalem and doing what he loves. Jerusalem is a central part of Brother Adler’s life. Everything is happening there and it’s a busy place for politics and government. He is currently studying international relations and political science and hopes to help the Jewish people fight anti-Semitism and the Boycott, Divestment and Sanctions (BDS) Movement. To do this, he speaks on college campuses about Beneath the Helmet and is involved with AIPAC – The American Israel Public Affairs Committee, Students Supporting Israel – SSI, Hasbara Fellowships and the Bet chapter of AEPi. He aspires to eventually be the prime minister of Israel.